North Main Street starts up the hill directly across from Market Street, bears left at Meetinghouse Green and continues to an abrupt stop at the point where High Street and East Street merge. 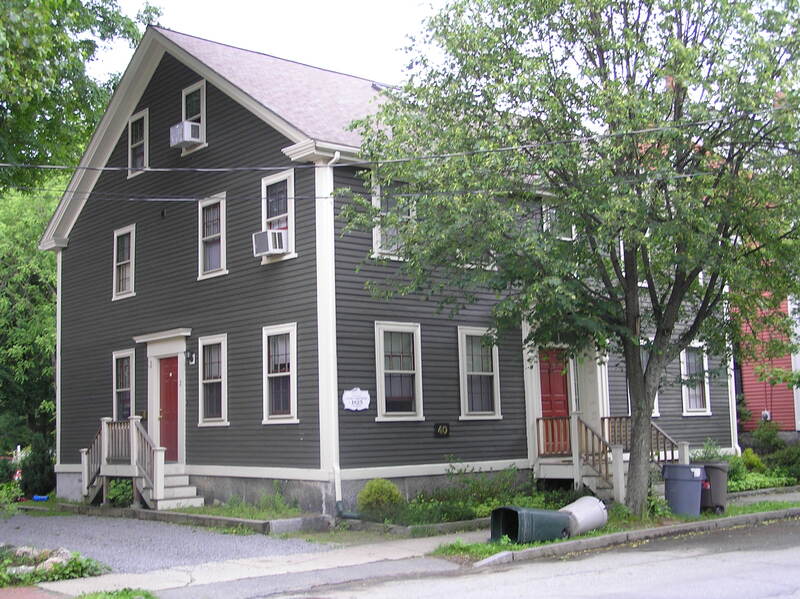 This neighborhood was once the religious, governmental and commercial center of Ipswich. During the seventeenth century, a meeting house, jail, fort, town pound and stocks were located here. Later the Post Office, Probate Court, Ipswich Female Seminary, Agawam Hotel and several commercial structures surrounded the Green. 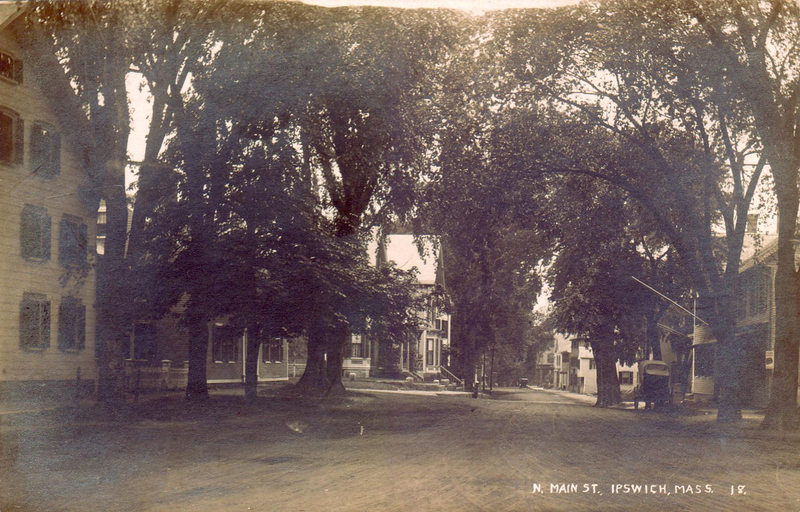 The most successful businessmen in Ipswich built fine Georgian, Federal, Greek Revival, Italianate and Victorian homes on North Main Street. 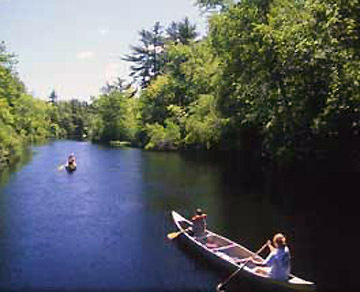 Boston was only three years old when the Governor and Council of the Massachusetts Bay Colony resolved to “hasten the planting of Agawam.” John Winthrop, Jr., the Governor’s brilliant, eldest son, led the expedition in March of, 1633. The first houses were “wigwams, huts, and hovels” built against the hillside near what is now the Town Wharf. 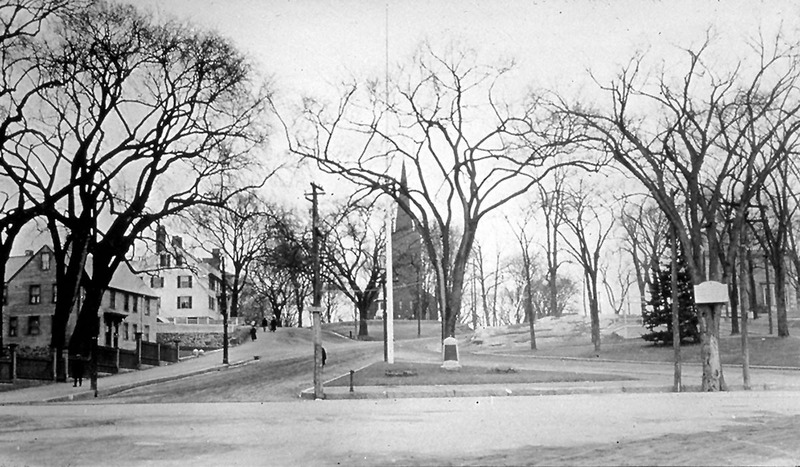 Meetinghouse Green on Town Hill was the governmental center for early Ipswich. By order of the General Court, dwellings had to be within one half mile of the Meeting House at Meeting House Green. A meeting house was built here by 1636, surrounded by a high wall to protect them from the ever-present danger from Indian attacks. Several churches have stood at this same spot. 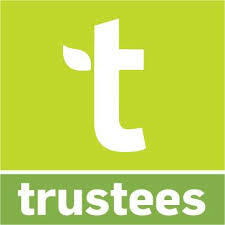 During the seventeenth century, a meeting house, jail, fort, town pound and stocks were located here. 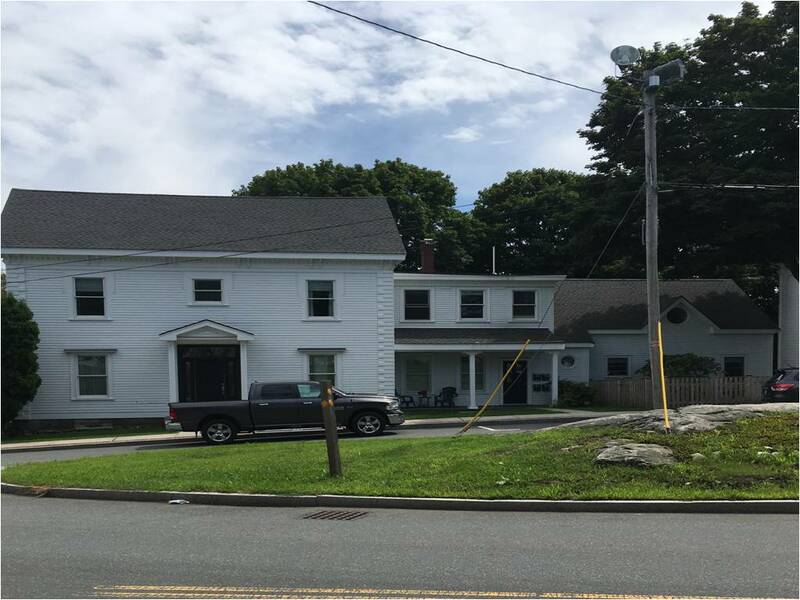 The town house and court was located near the present site of the Public Library, and lawyers stayed across the Green at the Treadwell Inn.Later the Post Office, Probate Court, Ipswich Female Seminary, Agawam Hotel and several commercial structures surrounded the Green. The Meeting House Green District includes thirty houses, three churches and the town library which are sited around the steep, rocky Green itself and along Main Street. It encompasses a wide range of architectural styles with approxi­mately half of the structures dating from the eighteenth century and half from the nineteenth. 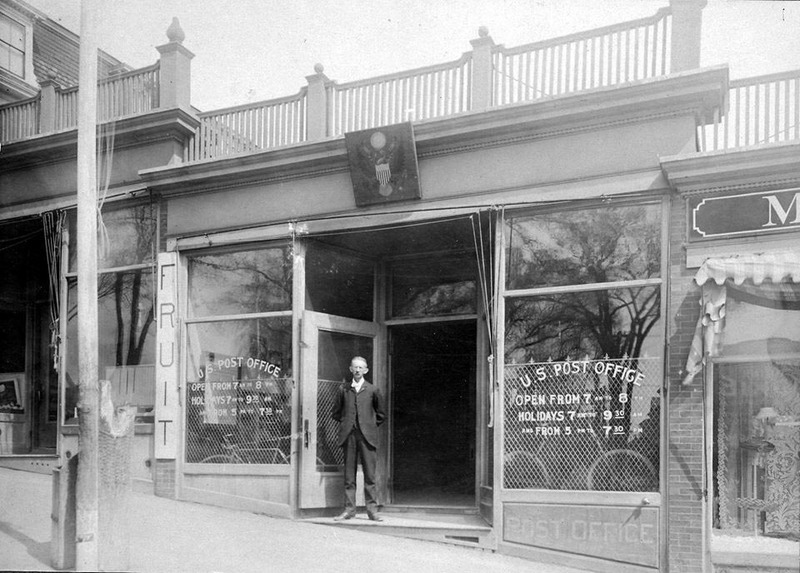 Postmaster Luther Wait standing in front of the Post Office that was at one time in the group of low buildings shown in the photo above. The old Gothic style Congregational Church is in the center of this view of the North Green. 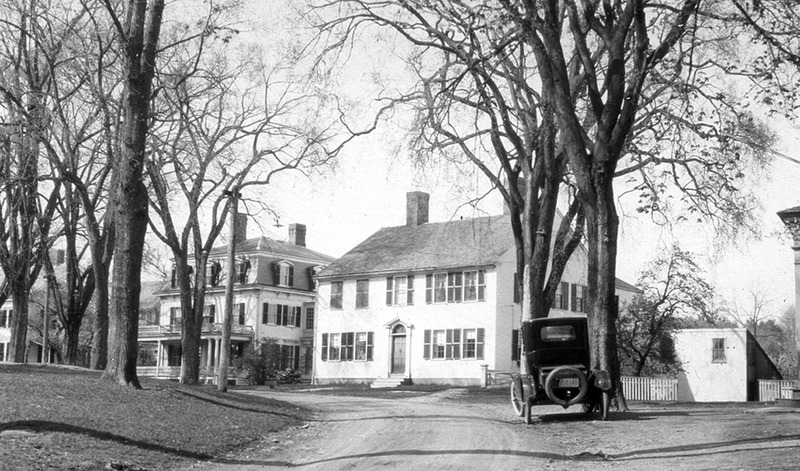 The Ebenezer Stanwood house on the left is currently being renovated. 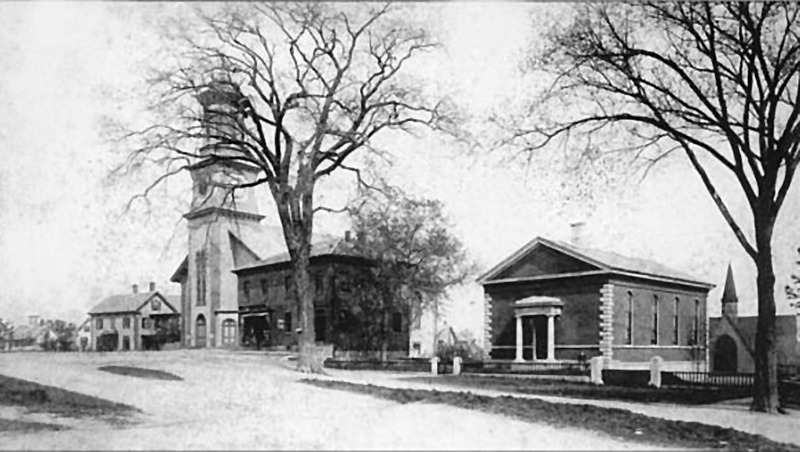 Left to right, the Nathaniel Wait house, the Methodist Church, Odd Fellows Building, Ipswich Public Library, and the Ascension Church visible behind the Library. The Odd Fellows Building and Methodist Church are almost unchanged today. The “Devil’s Footprint” is embedded in these rocks in front of First Church. Meeting House Green, rear side. The Captain Israel Pulcifer house and to its right is the Rev. David Kimball house. The Charles Kimball House with the four chimneys still stands. 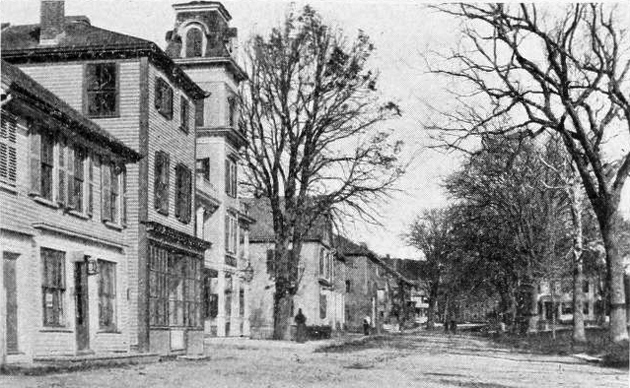 The two buildings on the right were removed to build the Colonial Building. 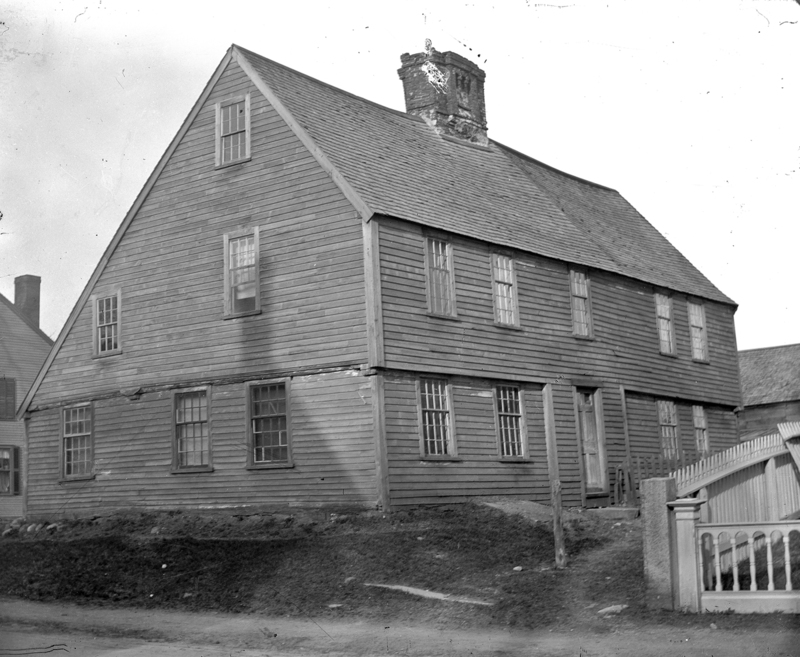 The Dodge house once stood at the corner of North Main St. and Summer St.
North Main Street across from Meeting House Green. Shown here left to right are the white brick William Pulcifer house, the pink Dr. John Manning house, the red Old Post Office, and the brown Captain Brewer house. 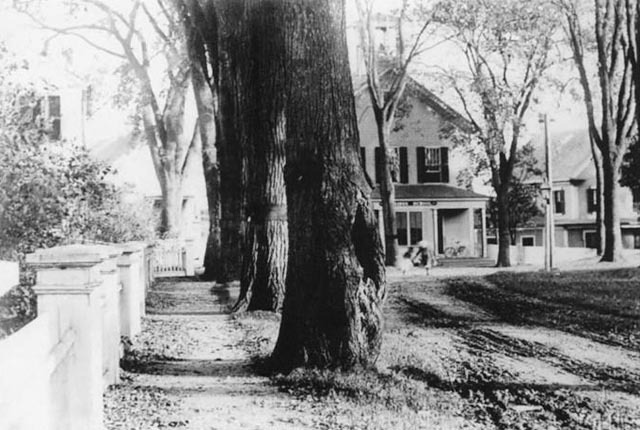 The Dodge house at the corner of North Main and Summer Streets, on the left, was replaced by a Queen Ann Victorian home. 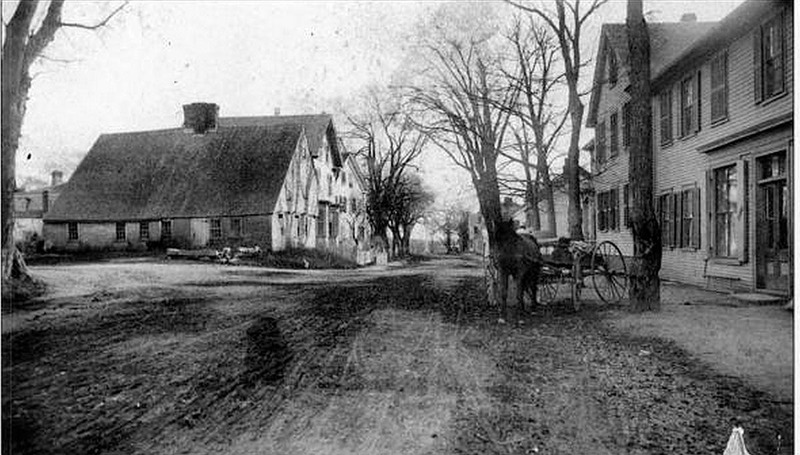 Looking north on North Main Street, the Agawam House with the Victorian tower still stands, but has lost its glory.